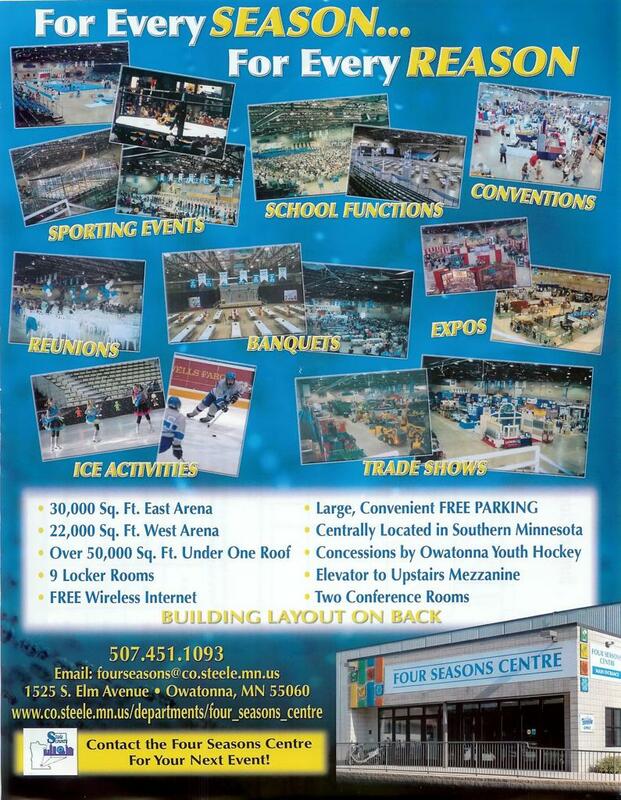 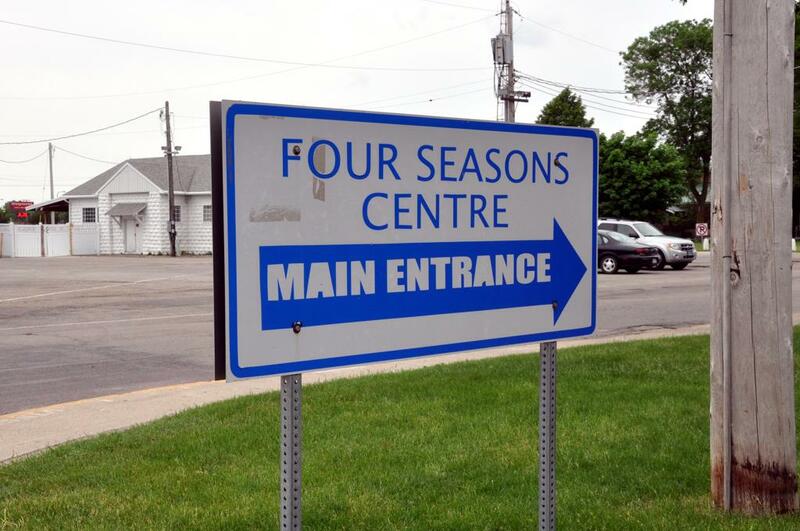 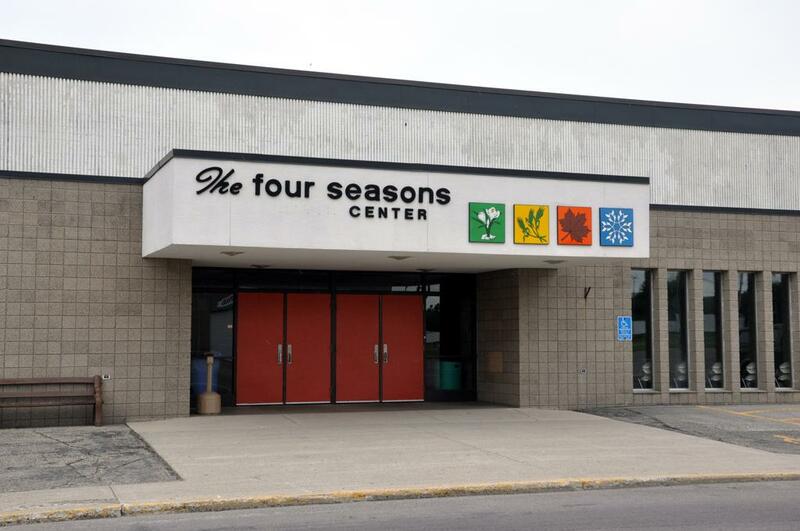 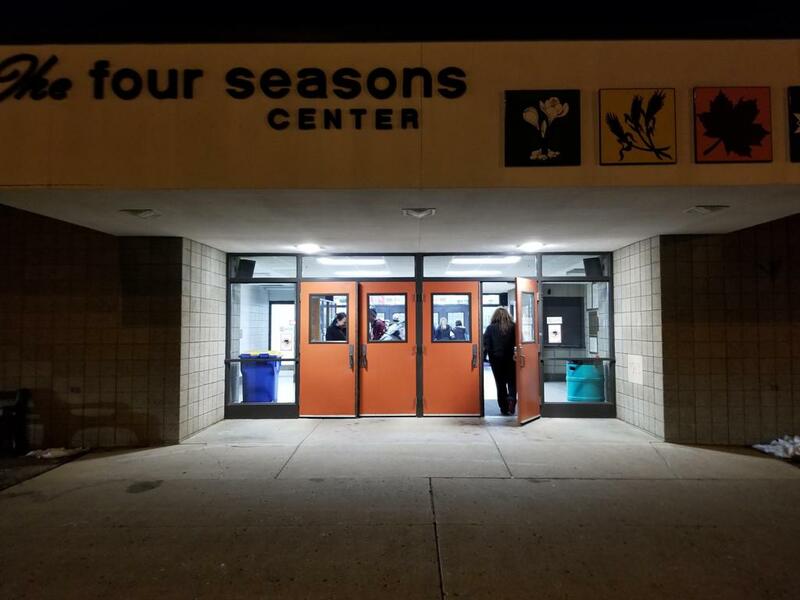 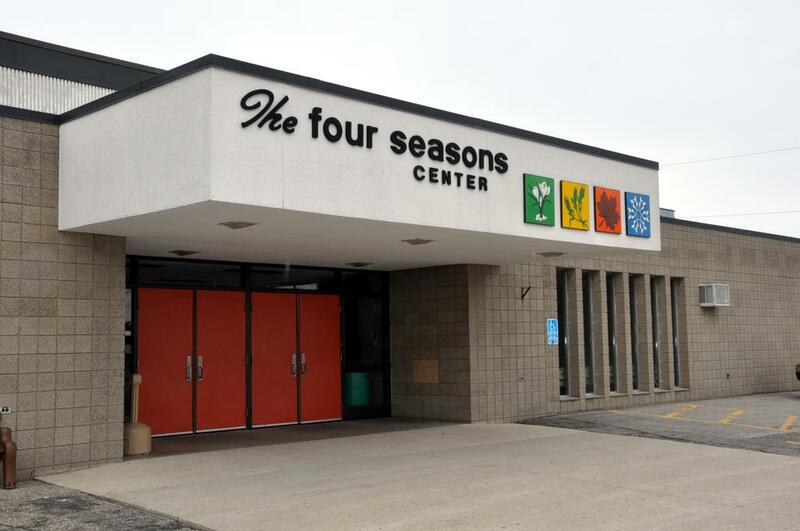 The Four Seasons Centre is located at 1525 S. Elm Street, and lies within the Steele County Fairgrounds in Owatonna, MN. 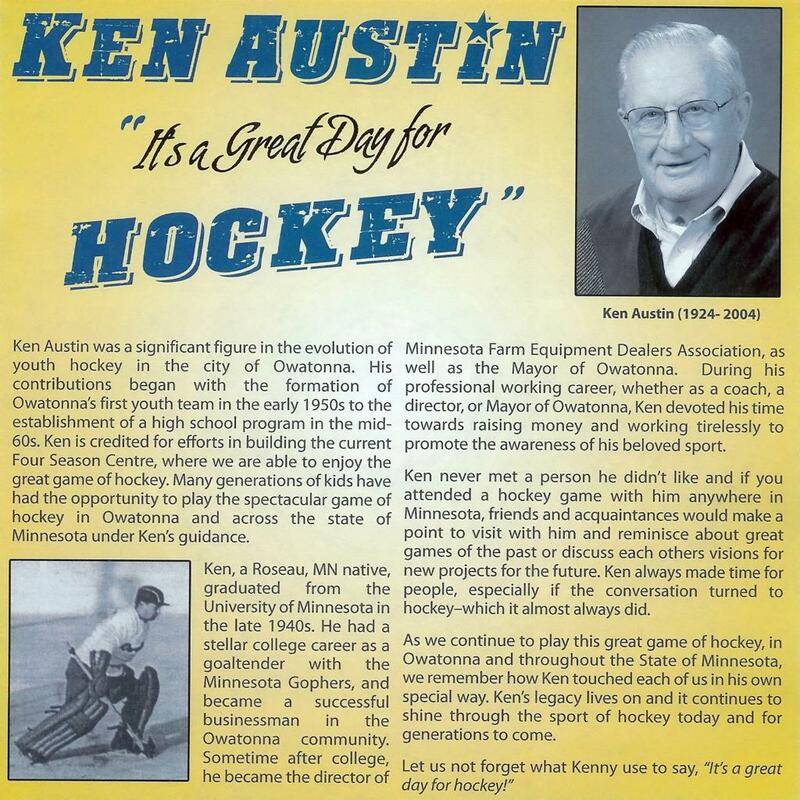 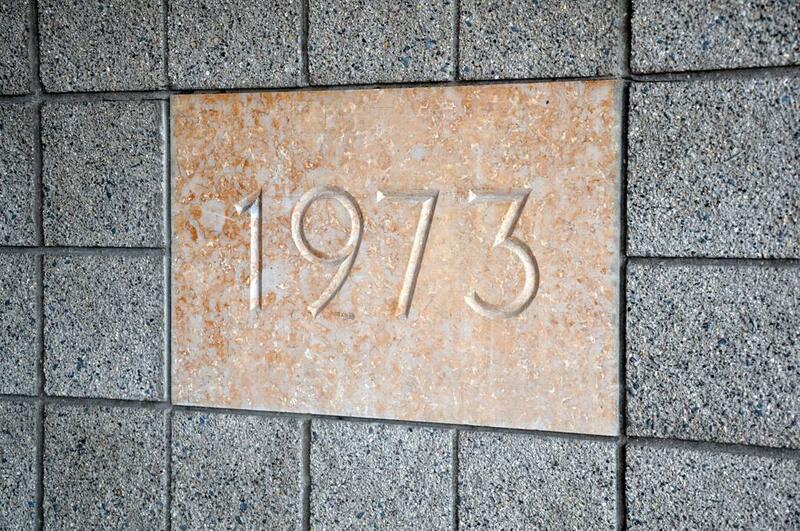 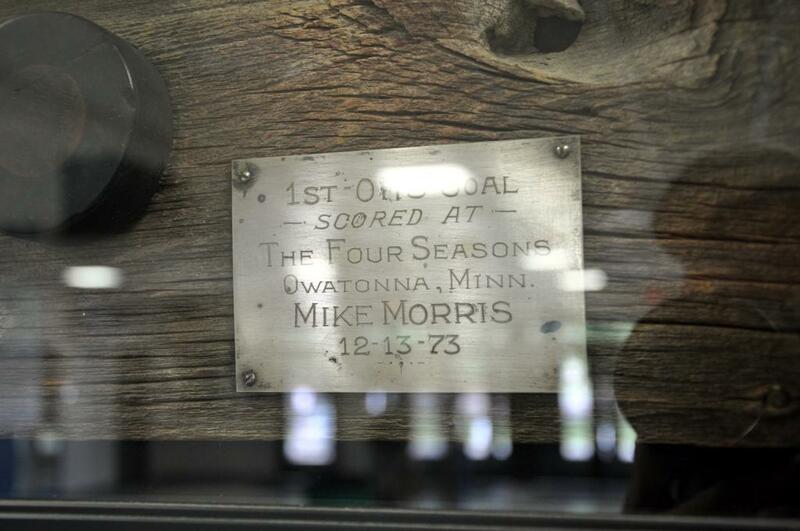 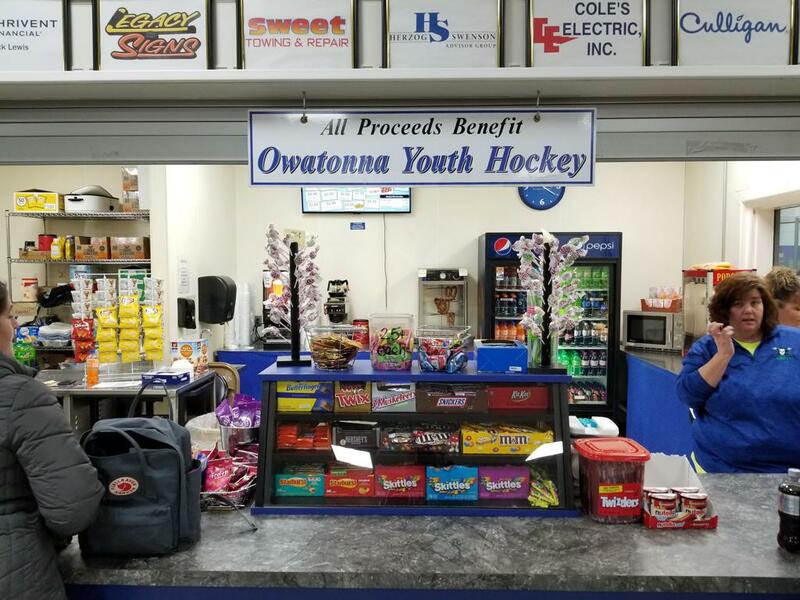 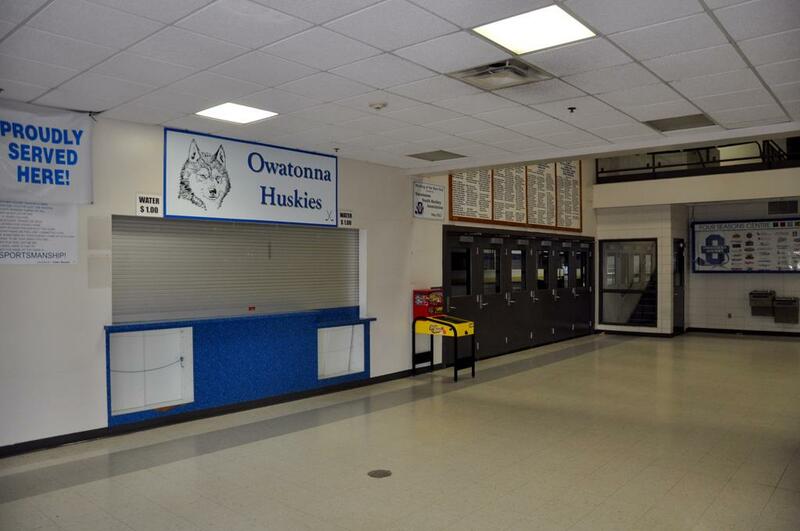 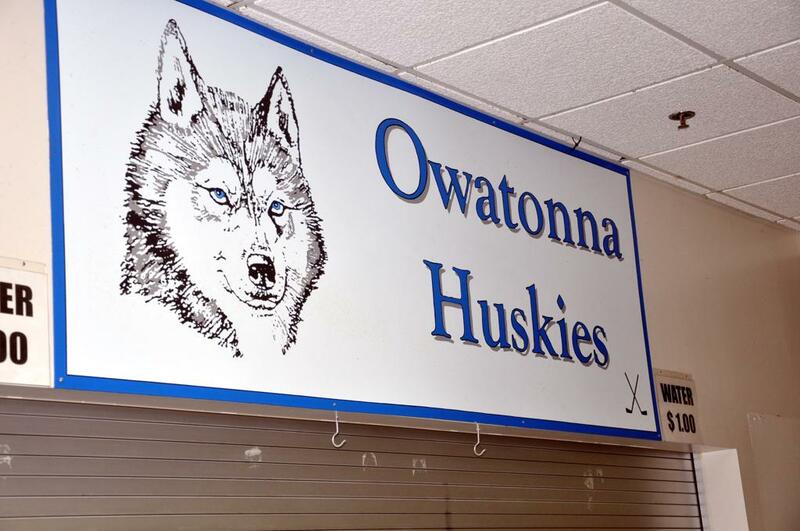 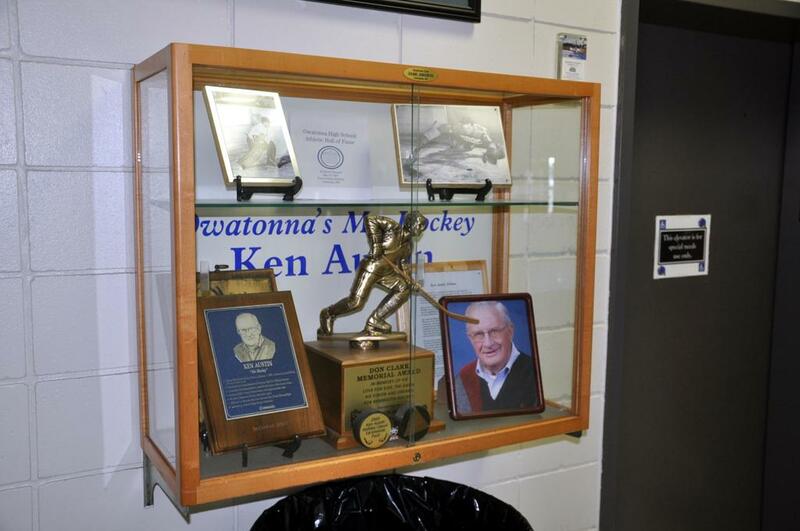 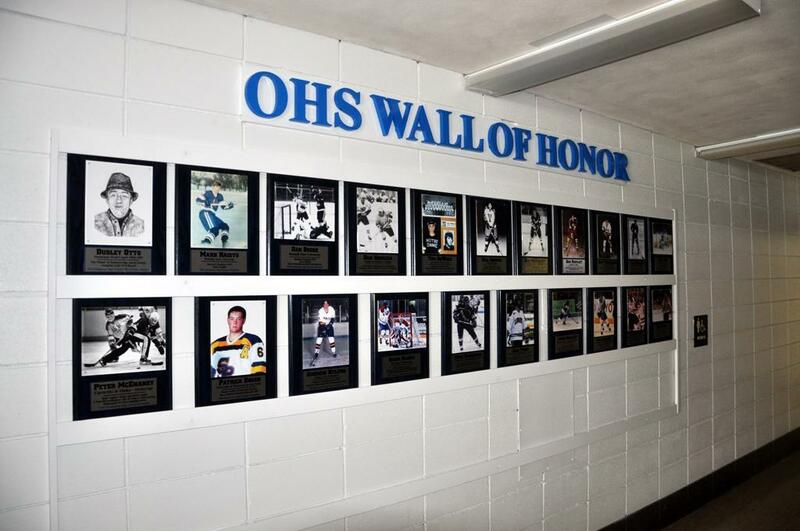 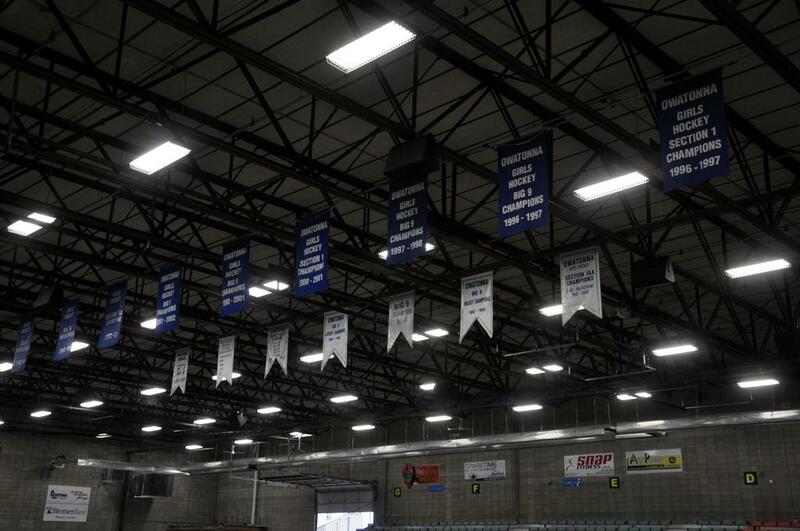 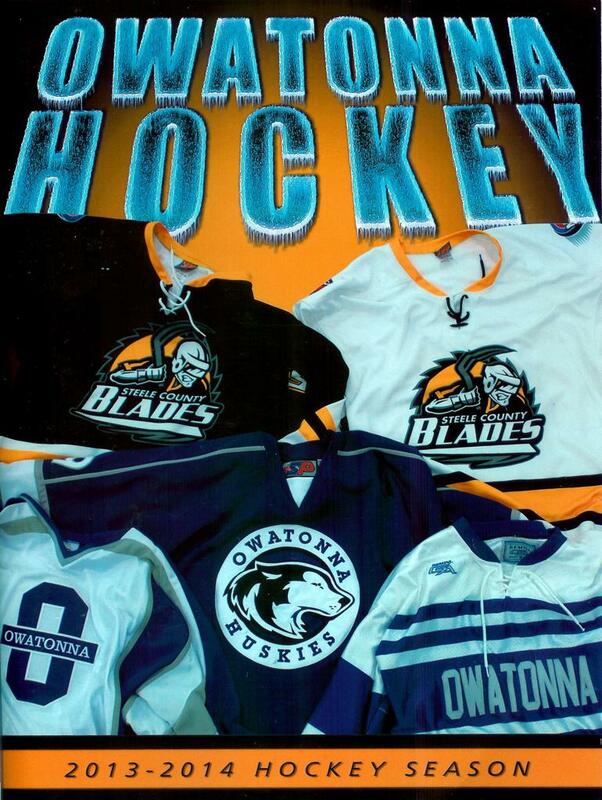 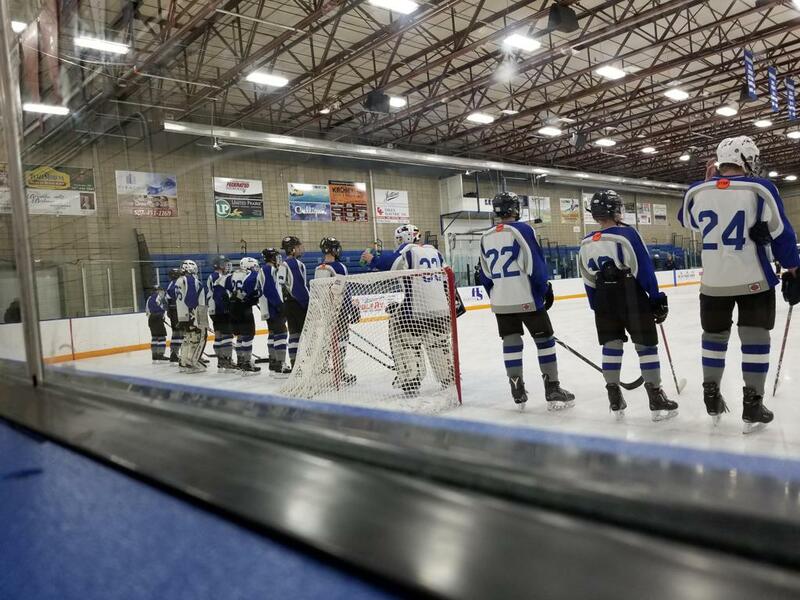 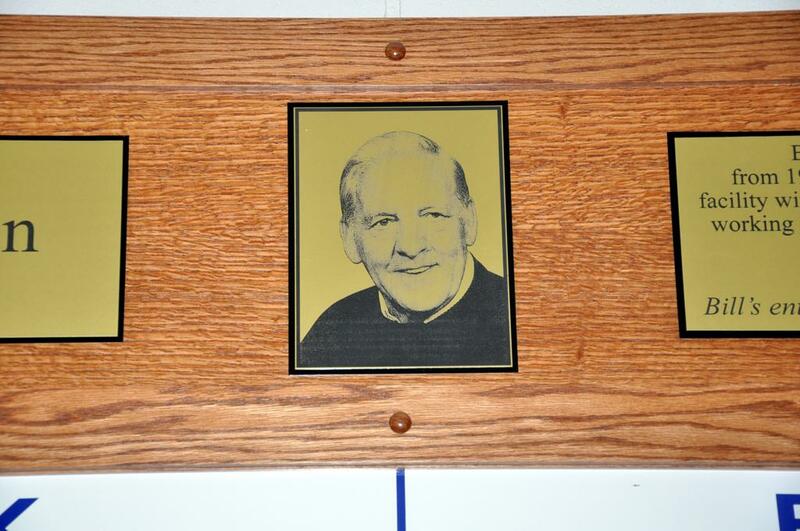 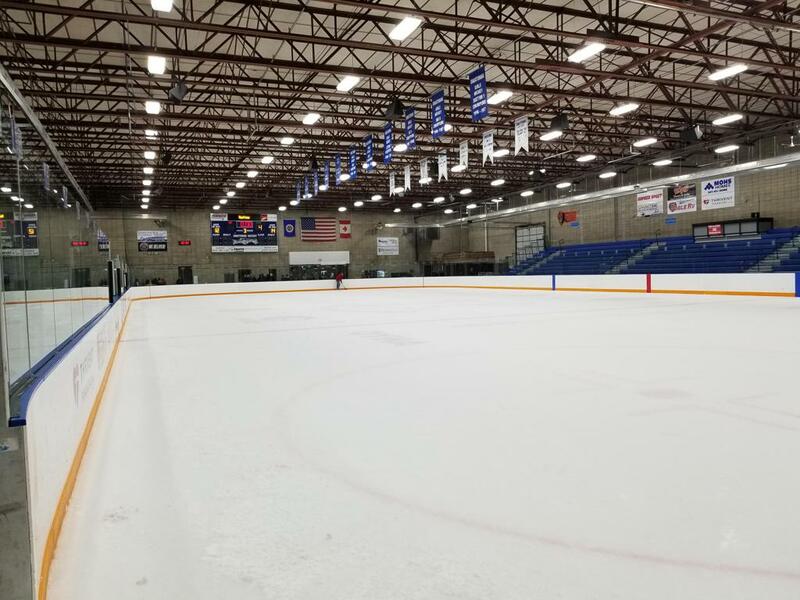 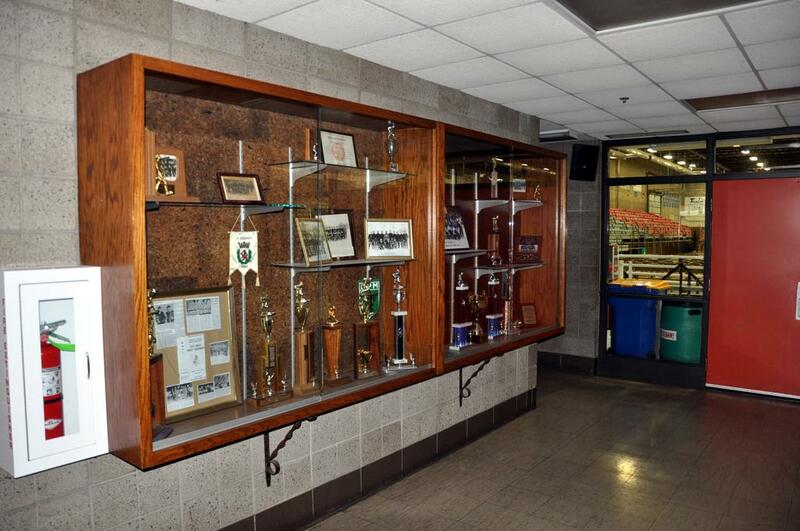 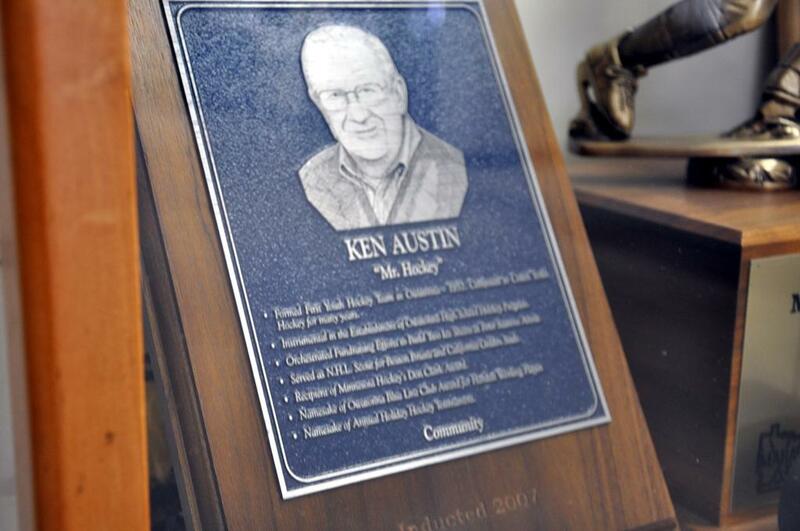 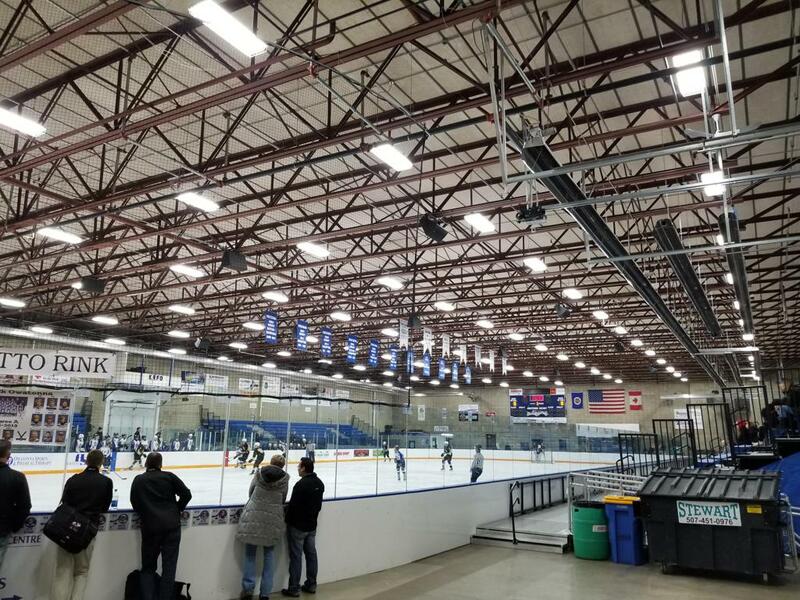 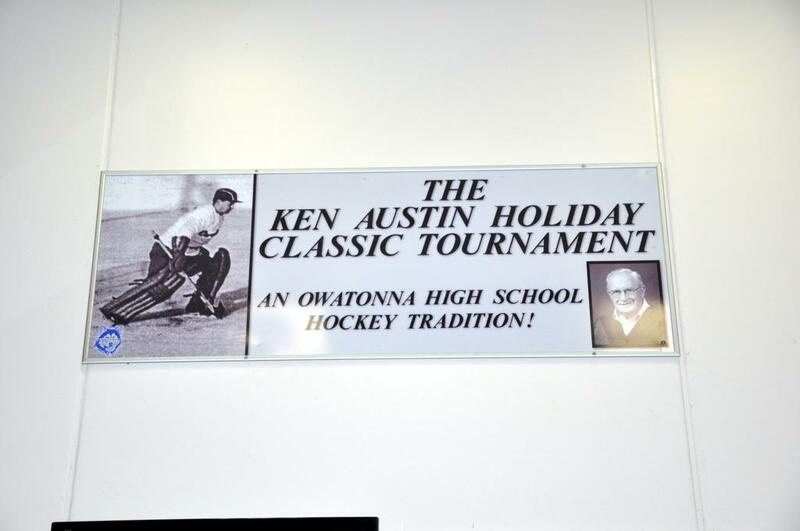 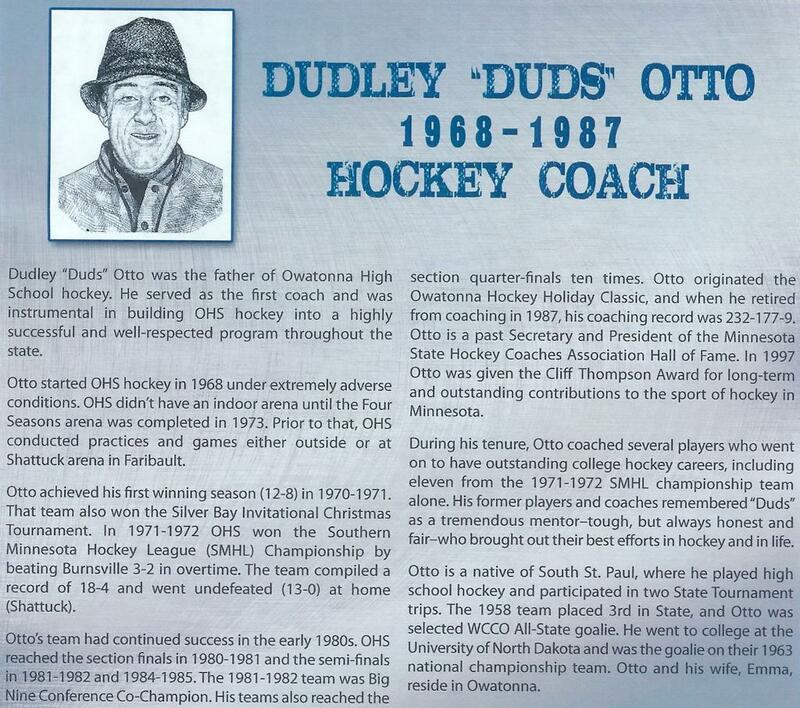 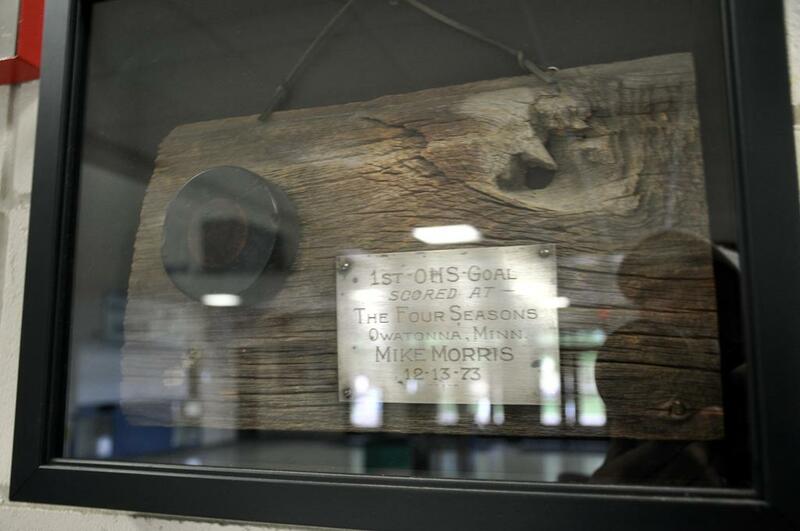 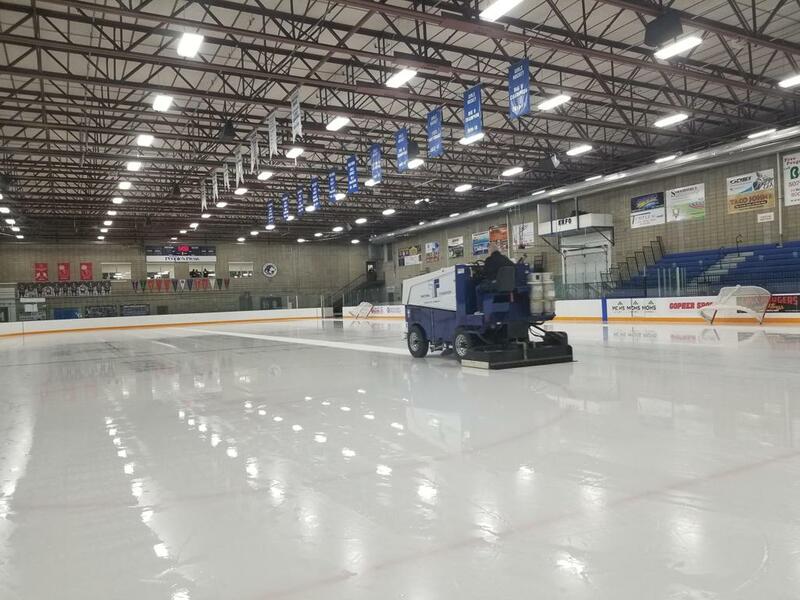 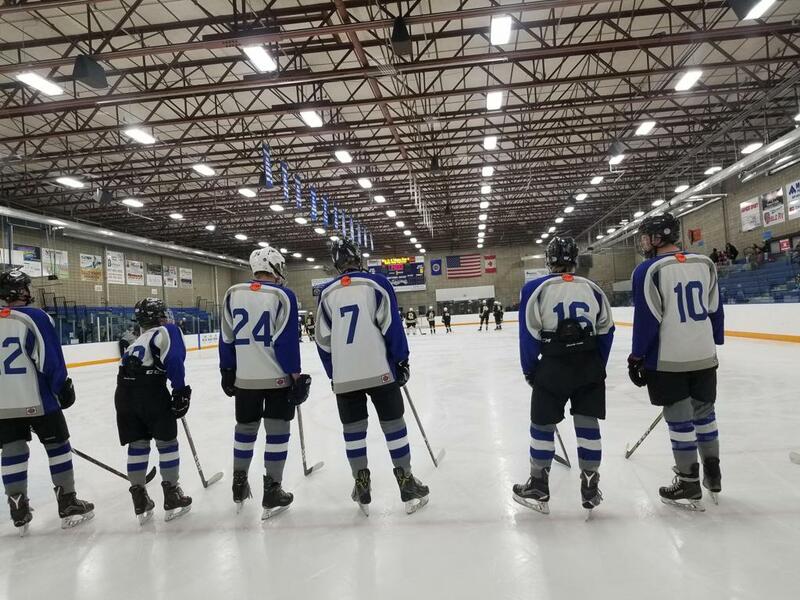 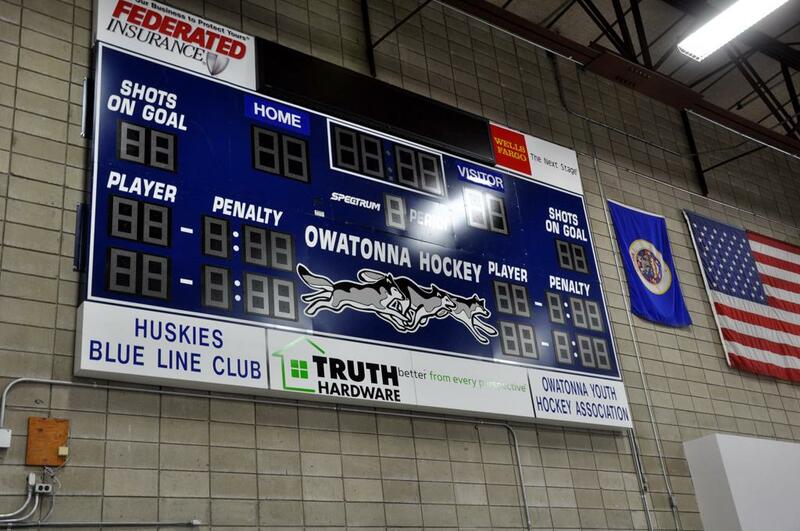 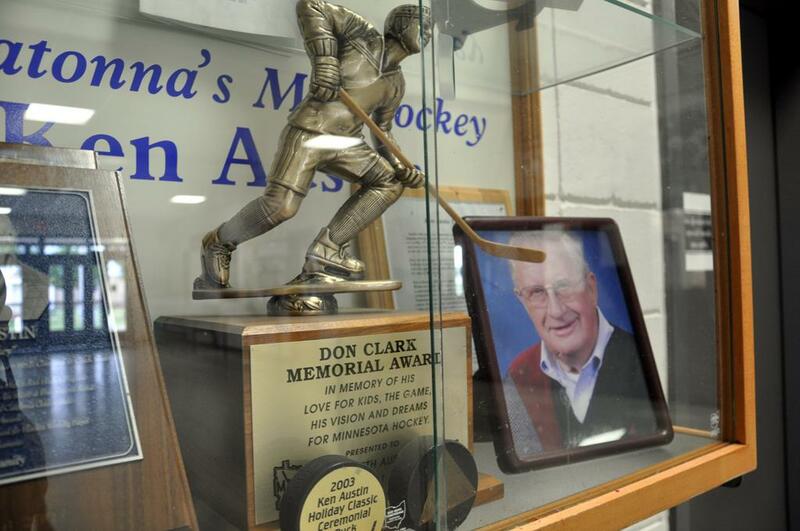 Built in 1972 for use by all residents of Steele County, the Arena opened initially with one sheet of ice officially in 1973 and is the home arena to; Owatonna Youth Hockey Program, Owatonna boys and girls Huskies high school hockey, and the Owatonna Figure Skating Club. 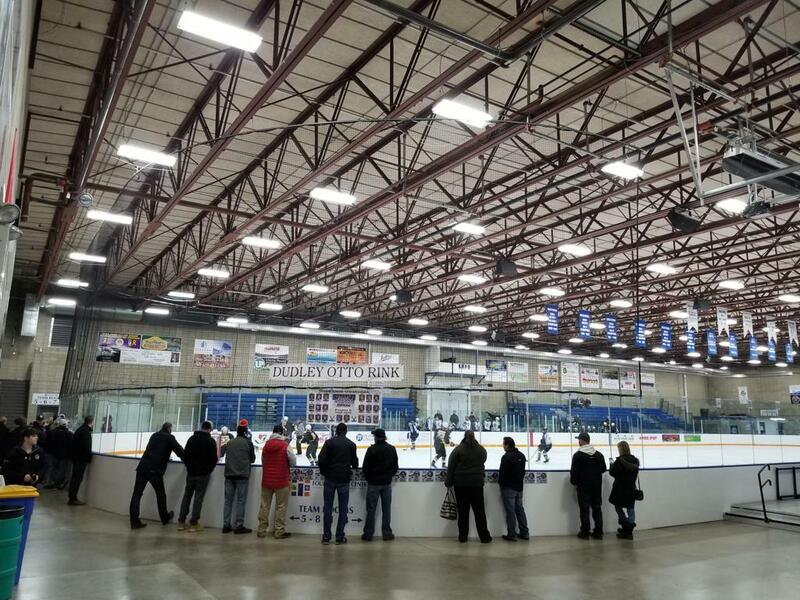 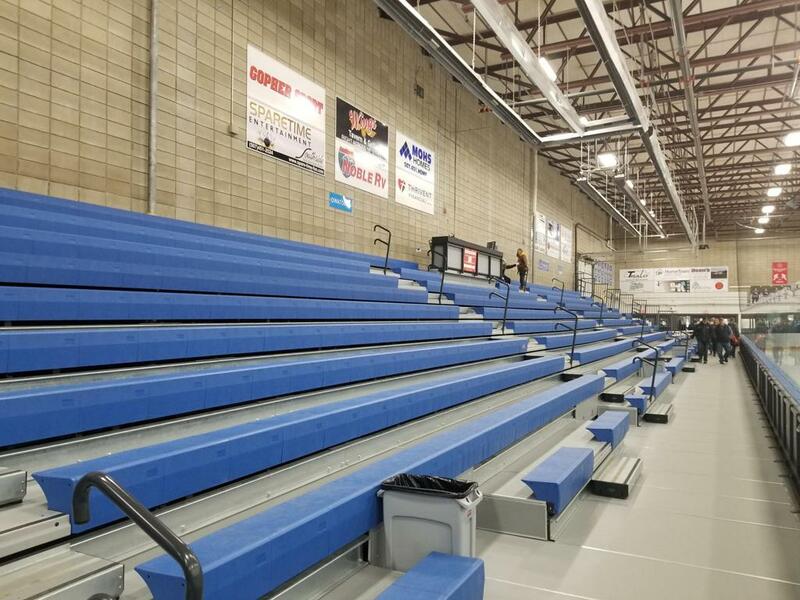 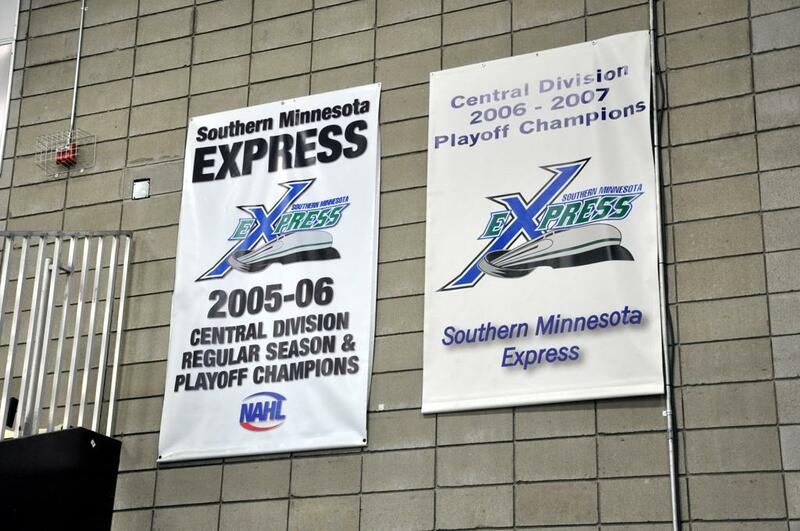 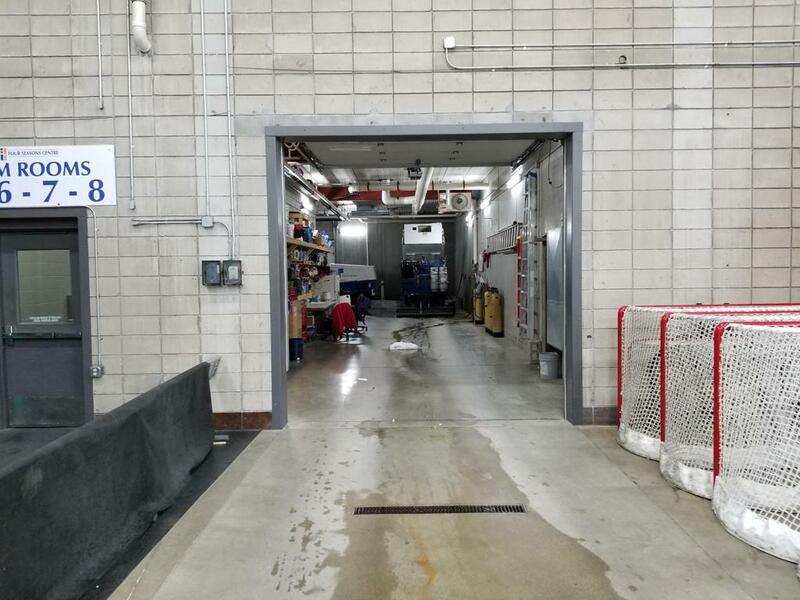 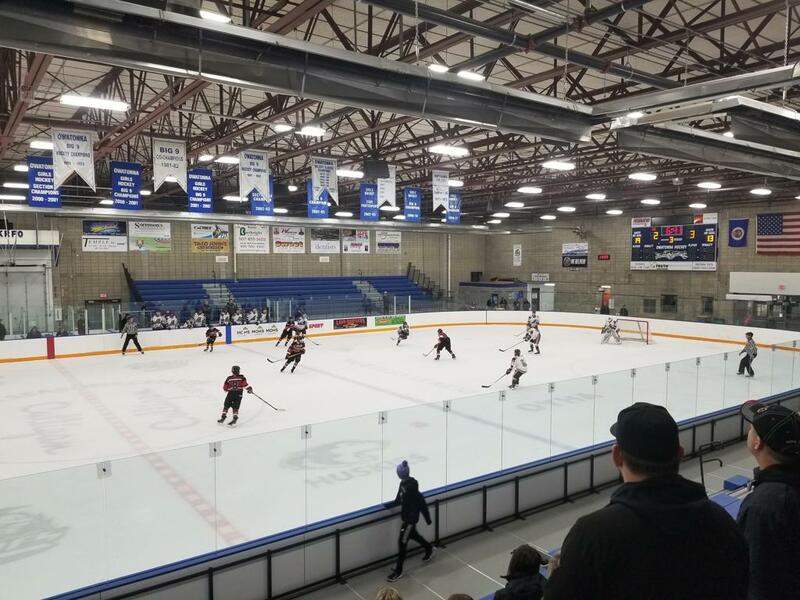 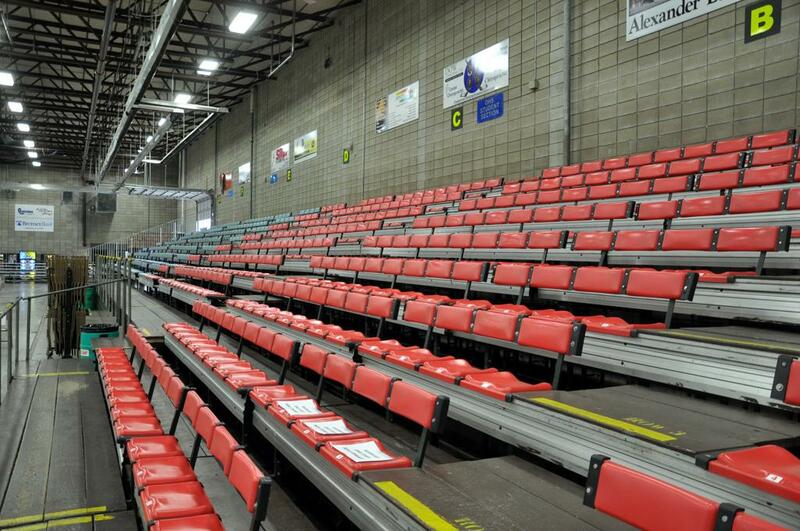 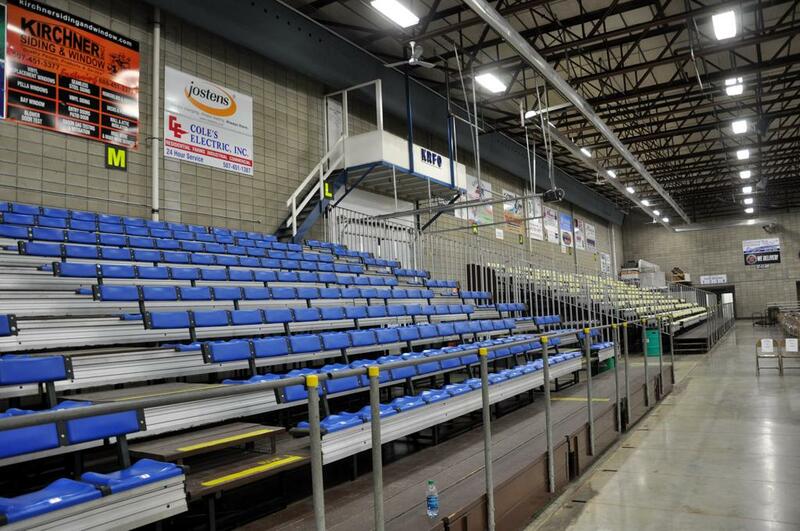 The original larger "East Arena", with seating for over 1400 spectators was also the home arena to the now defunct Southern Minnesota Express NAHL team (2005-2008), and the Owatonna Express (2008-2011). 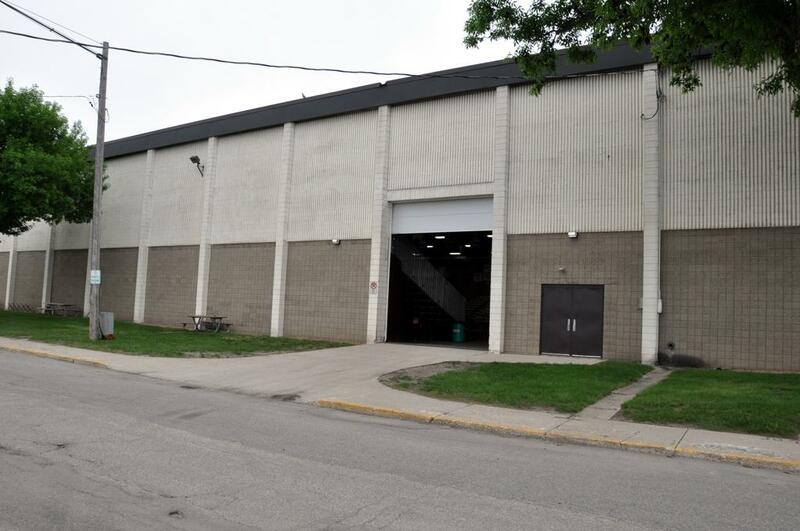 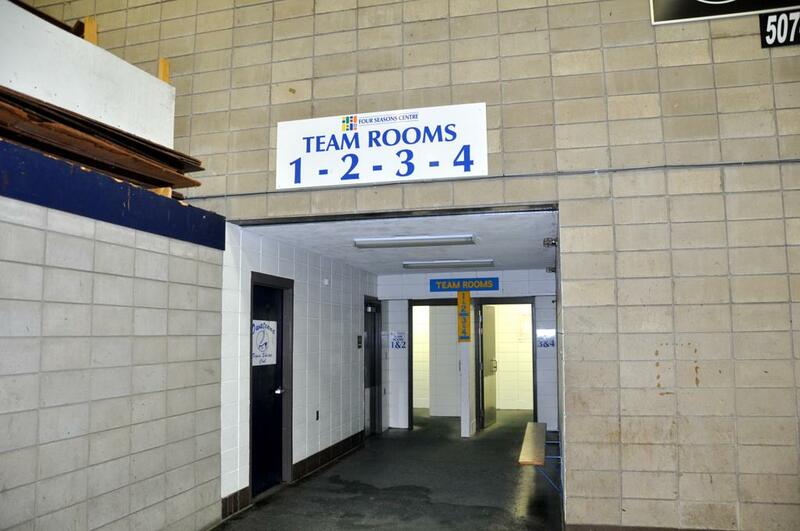 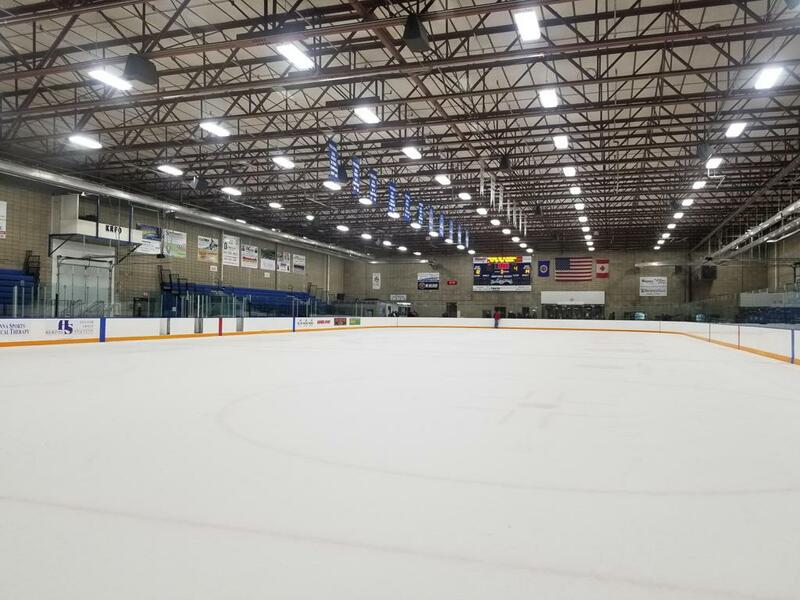 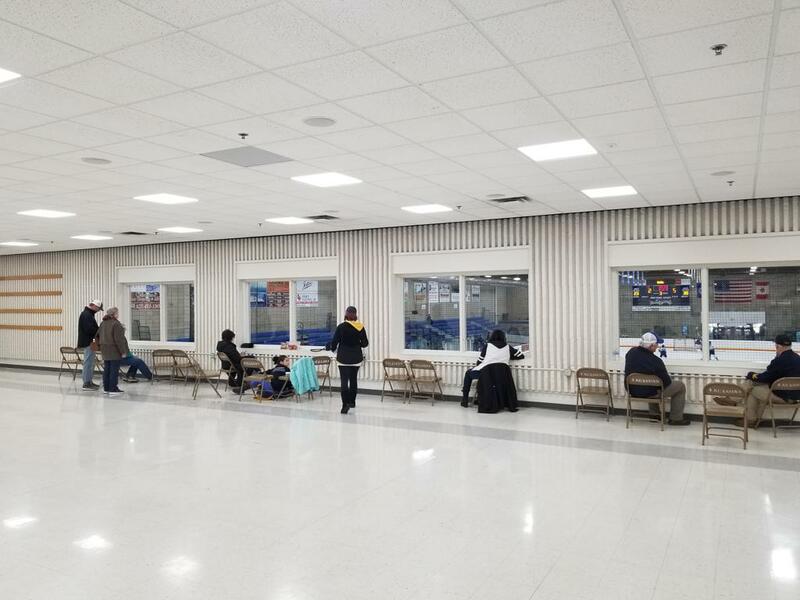 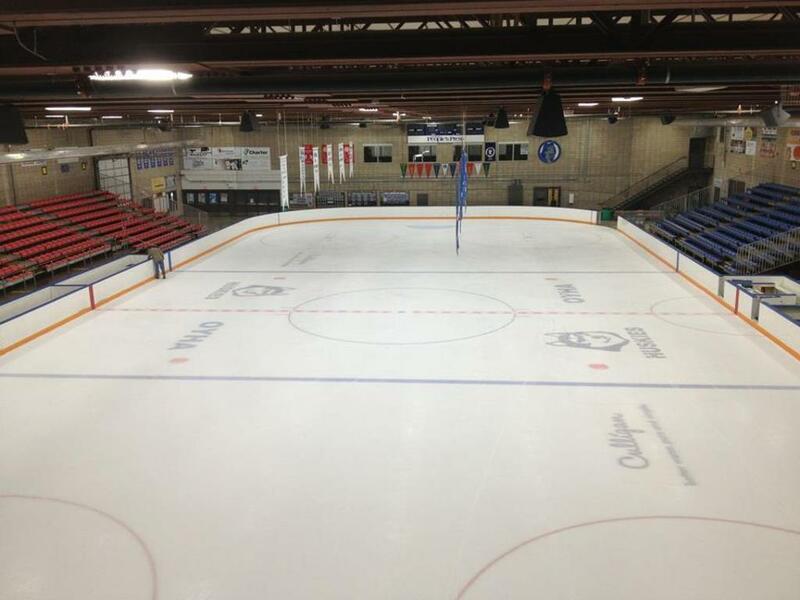 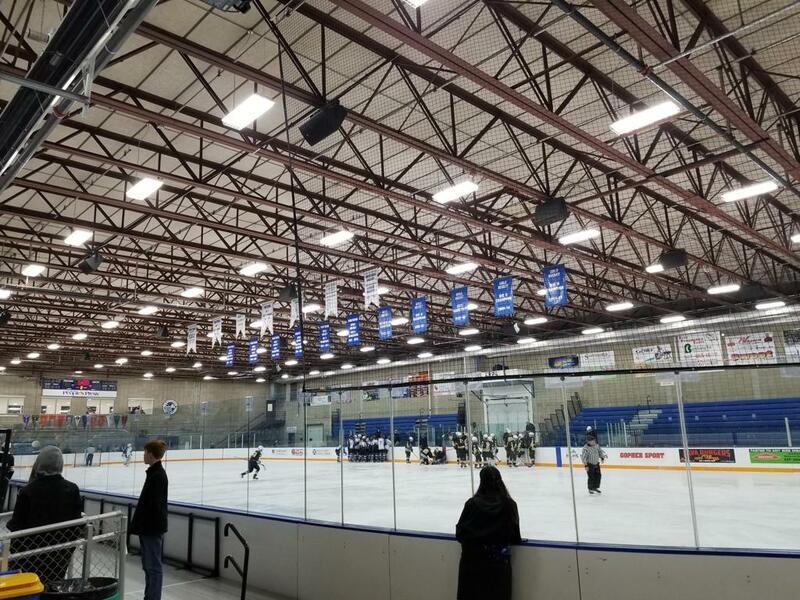 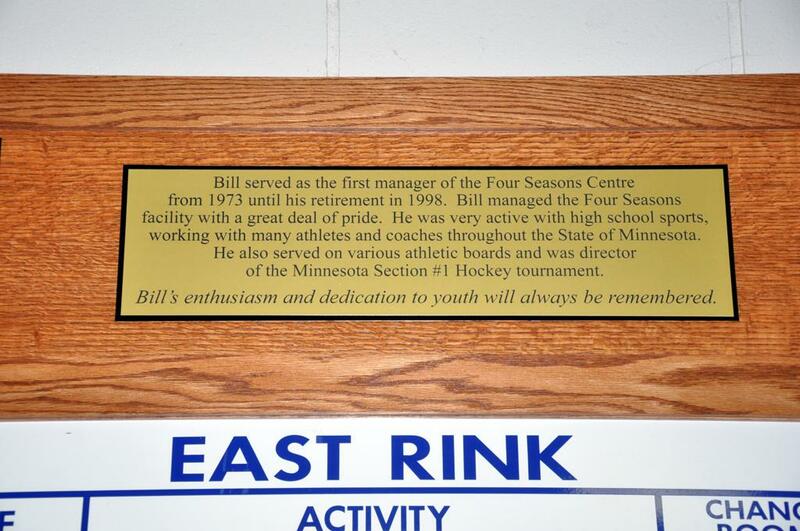 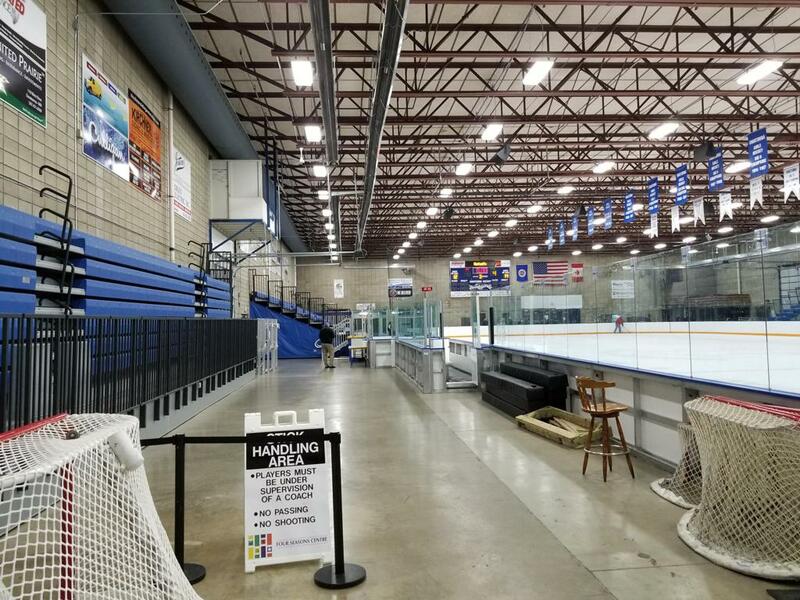 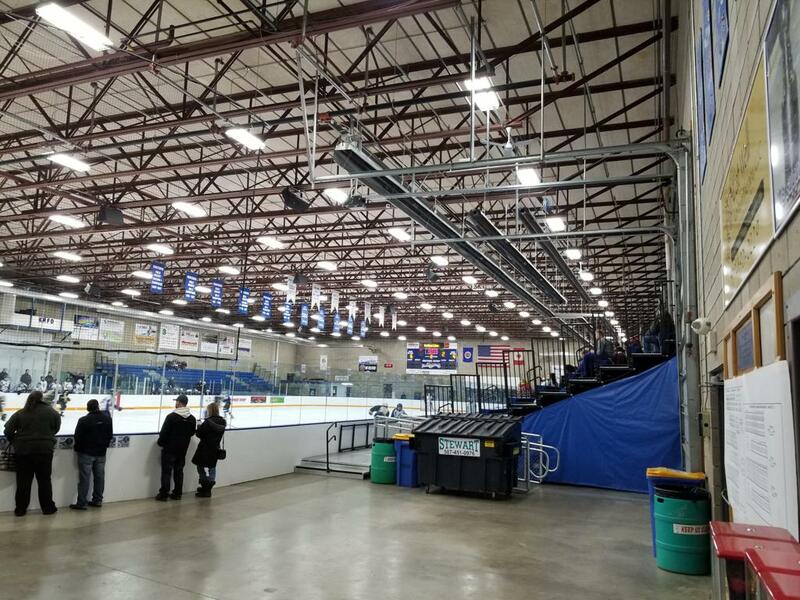 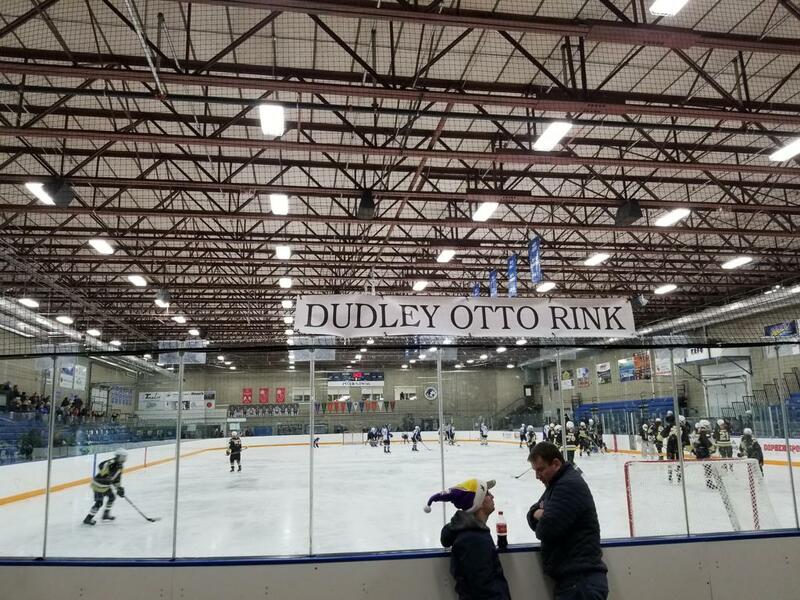 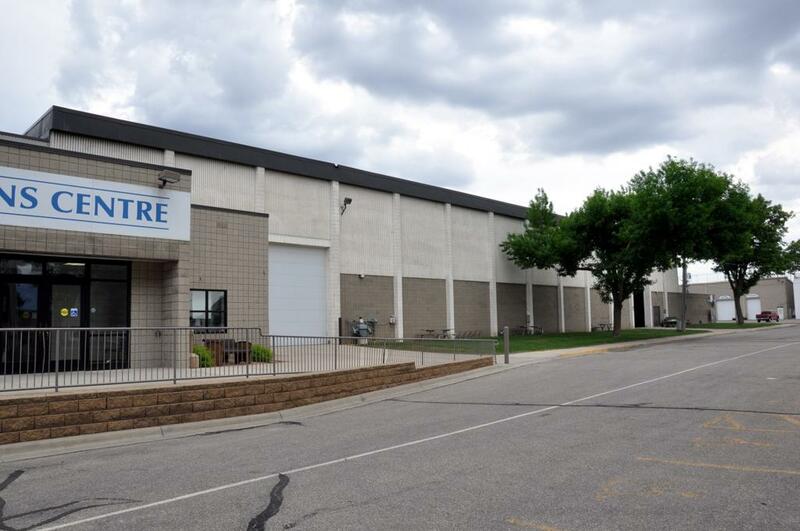 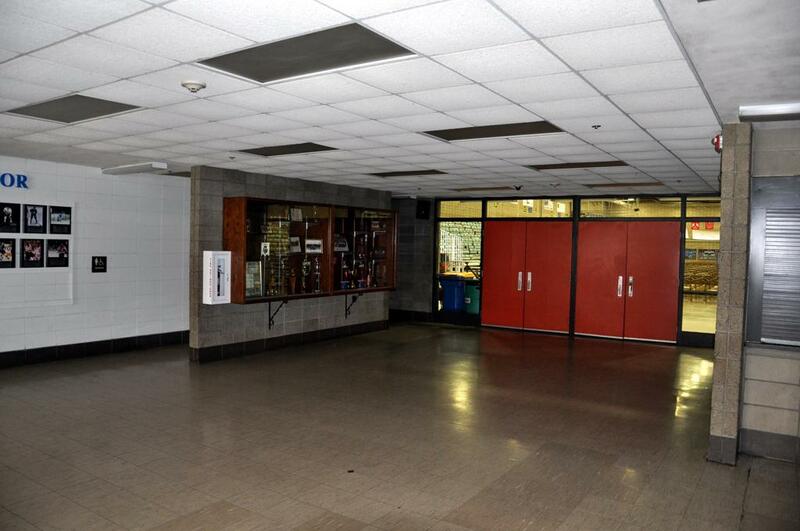 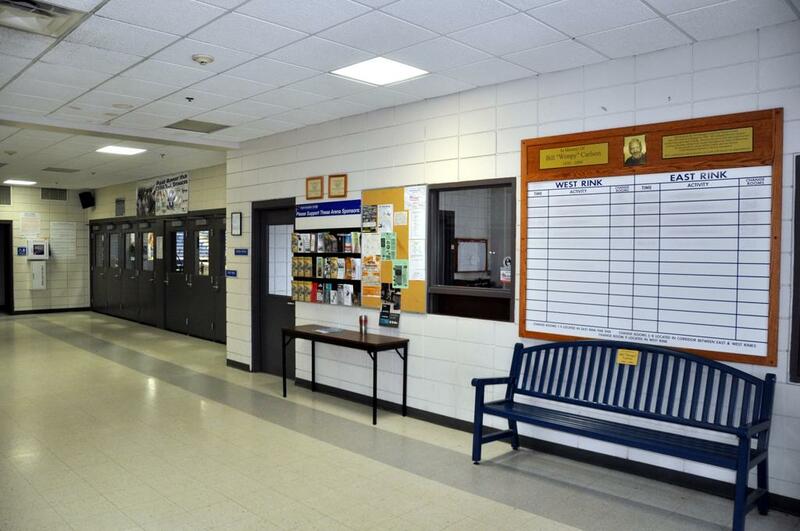 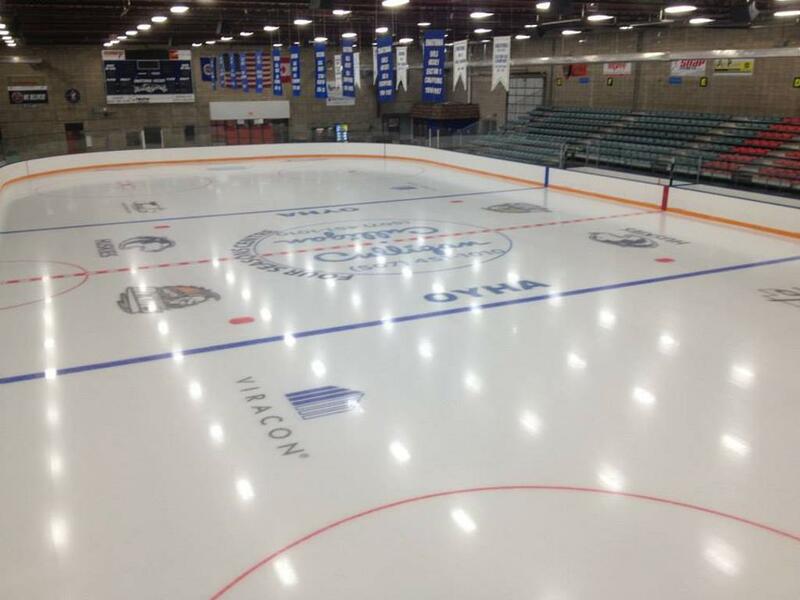 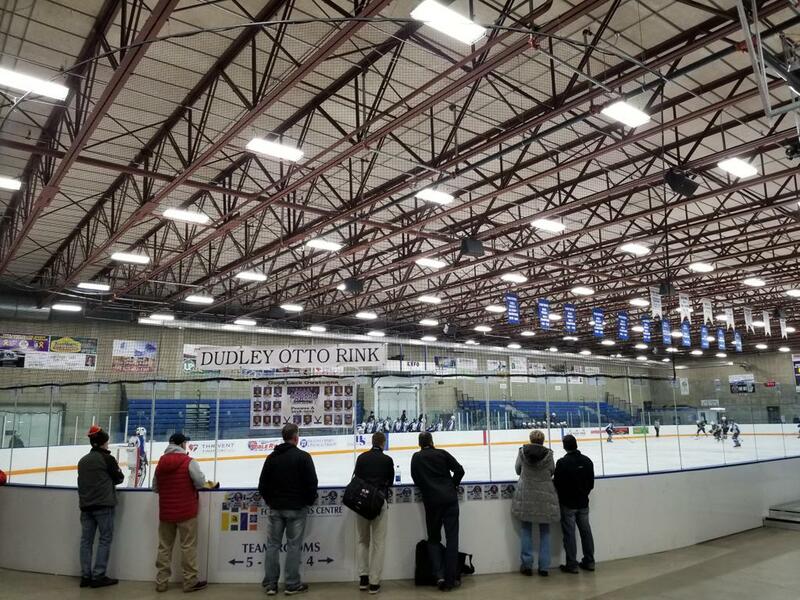 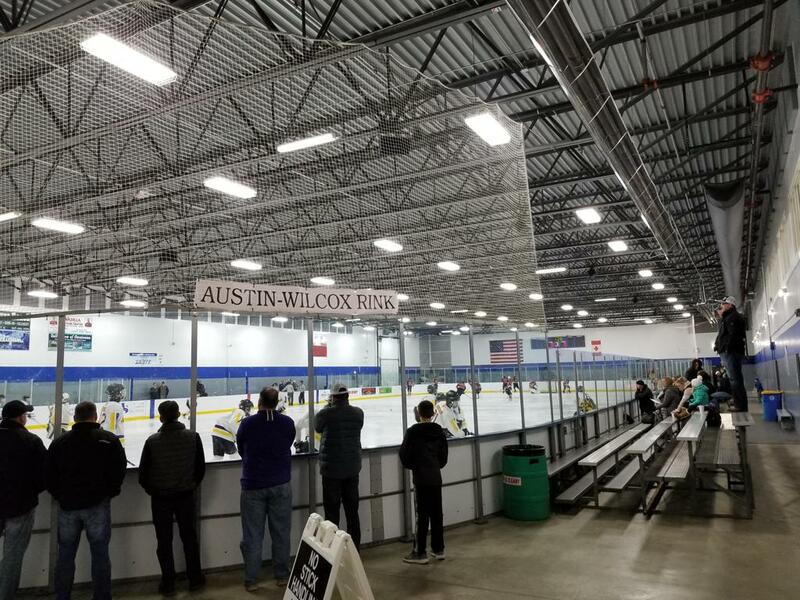 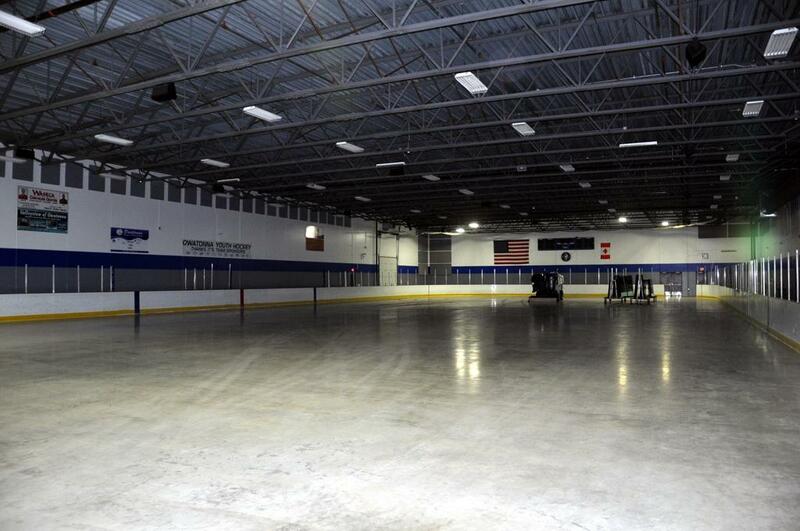 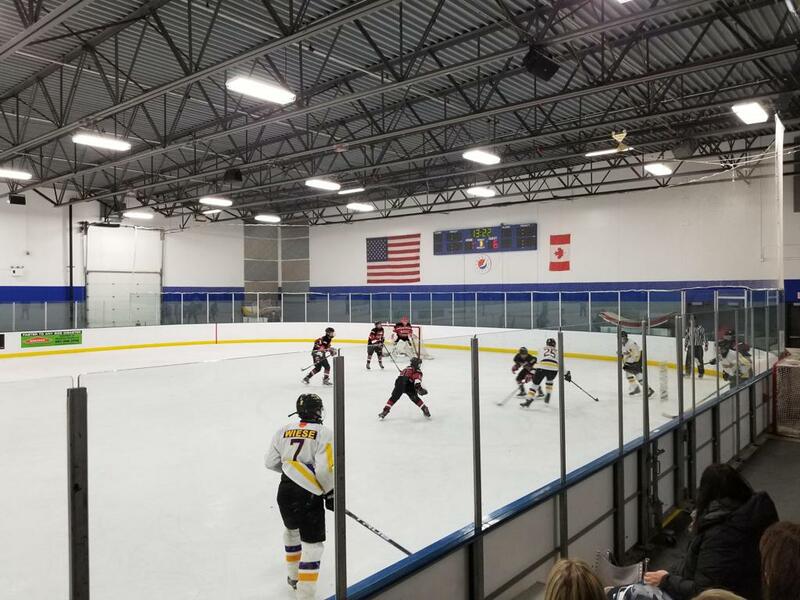 An expansion of the facility was completed in the spring of 2001, providing users with expanded opportunities for ice related activities and dry floor events to the smaller "West Arena" rink with seating for 150. 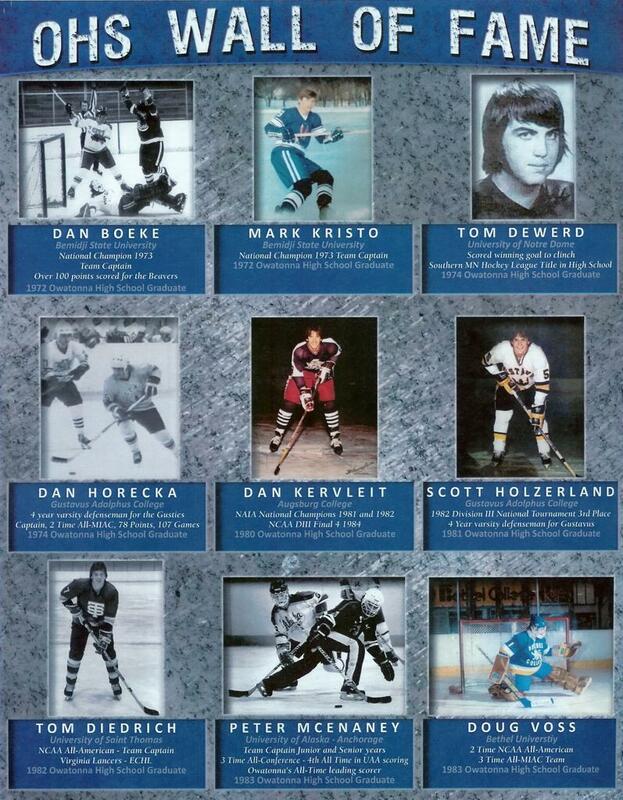 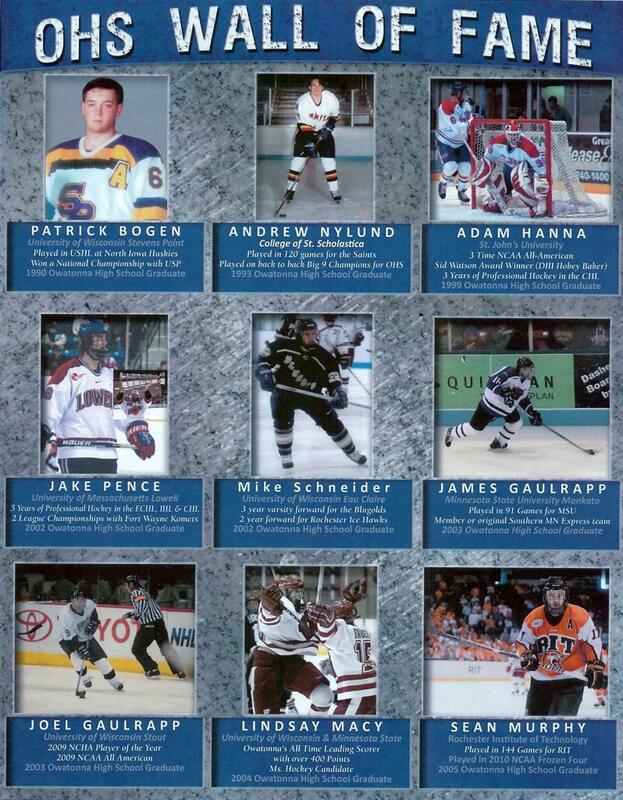 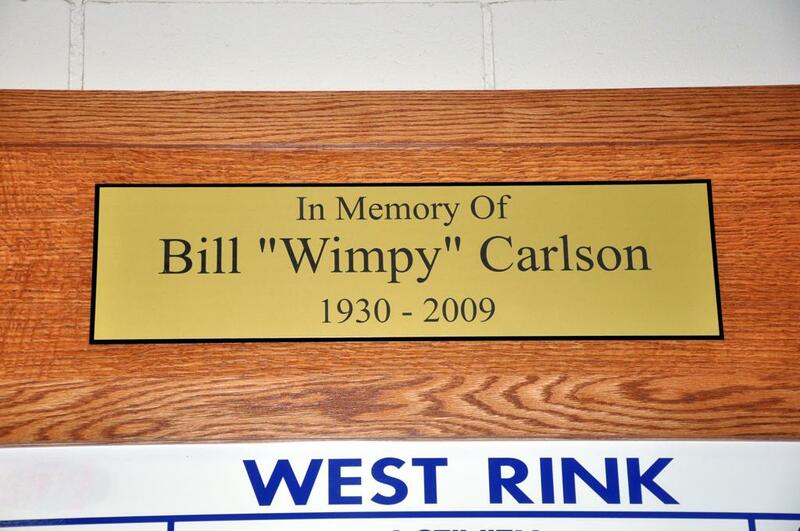 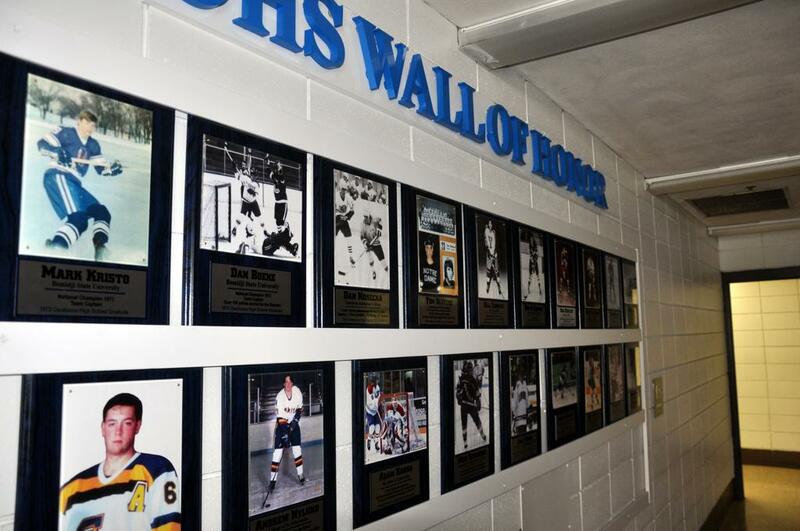 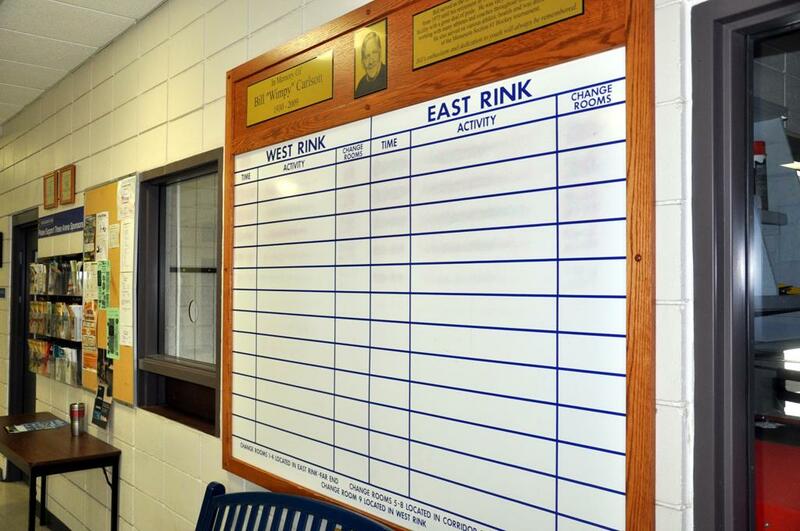 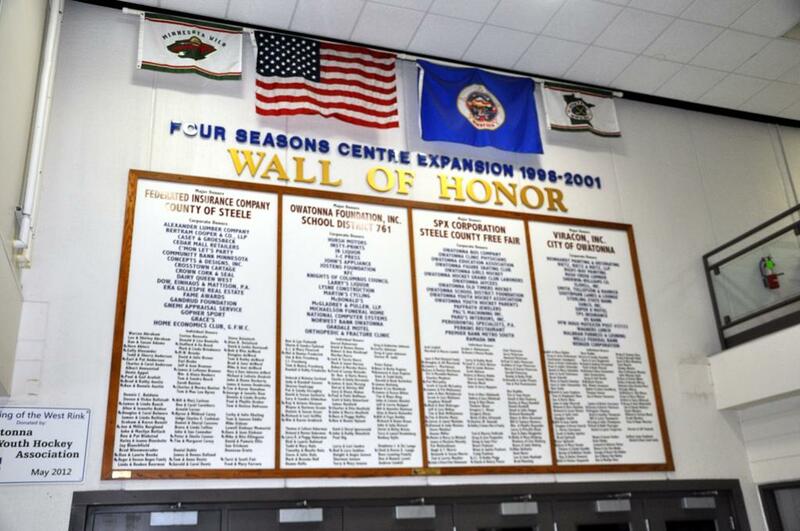 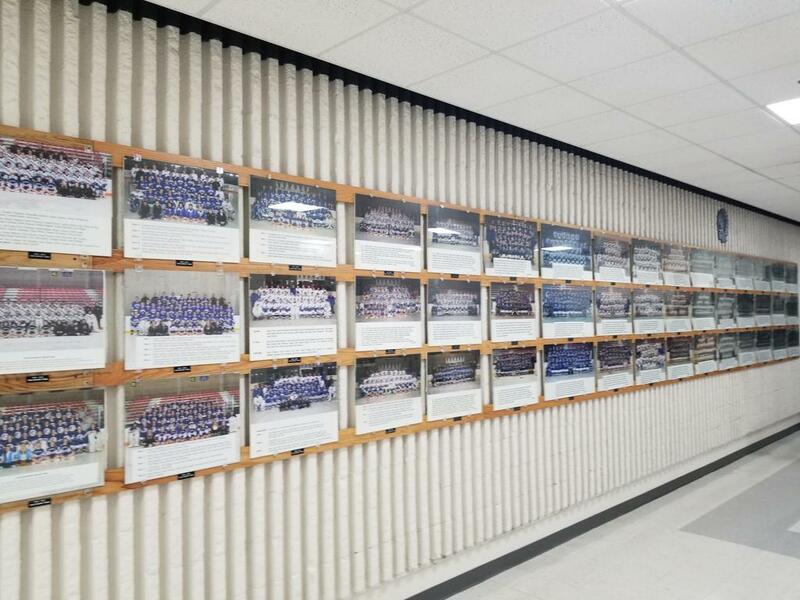 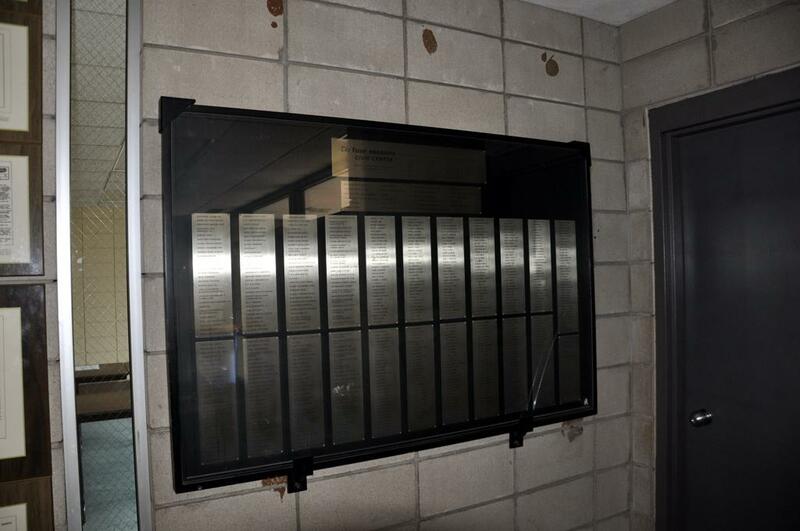 The Four Seasons Centre expansion 1998-2001 "WALL OF HONOR" adorns the newer main lobby dedicated to all of the individual donors of the rink expansion. 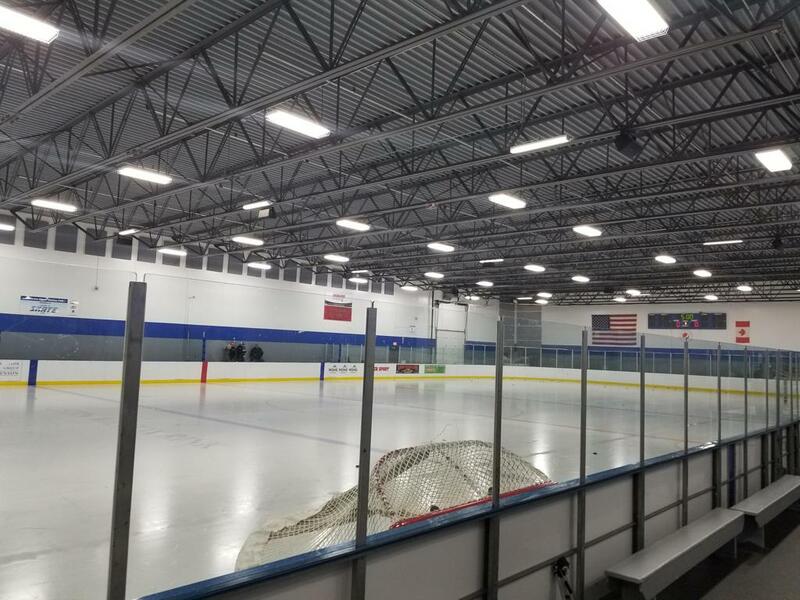 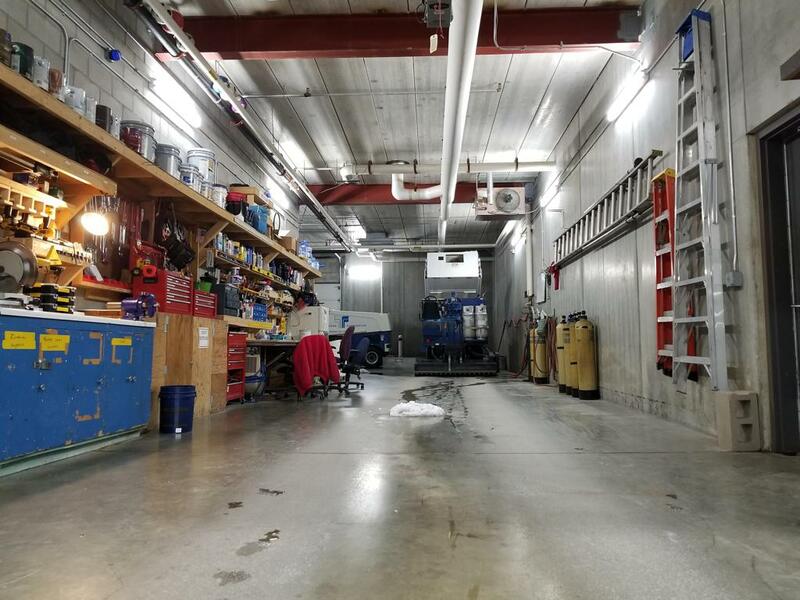 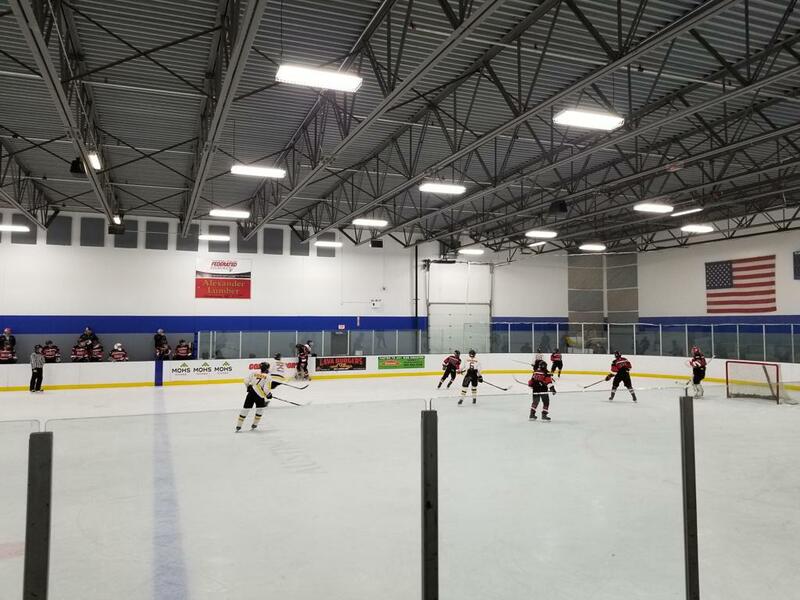 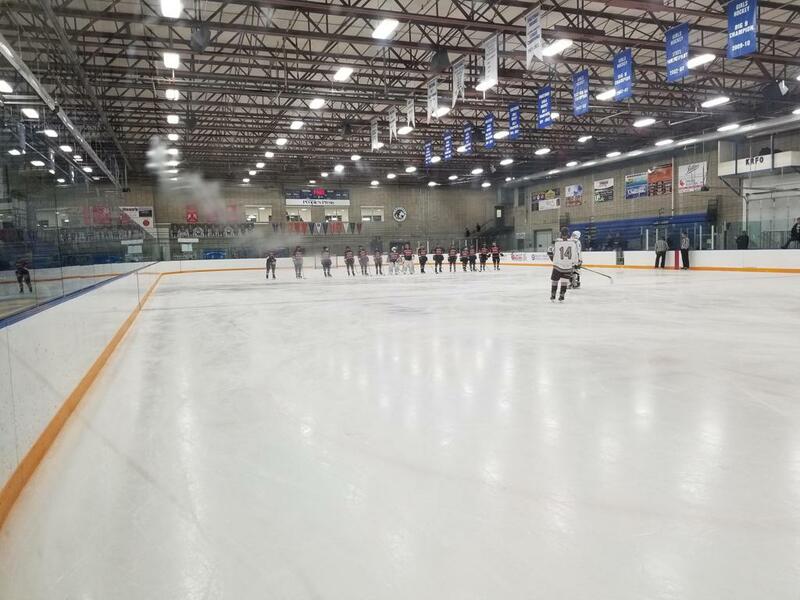 The multi-purpose complex consists of two connected buildings with 30,000 and 20,000 square feet of floor space that also serve as ice rinks. 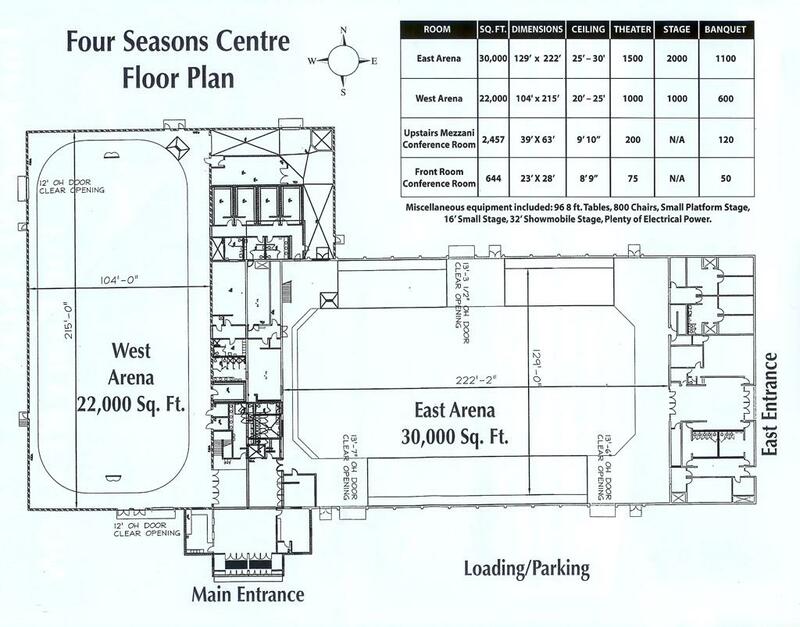 A hospitality area, usable also as a meeting space, overlooks both exhibit floors. 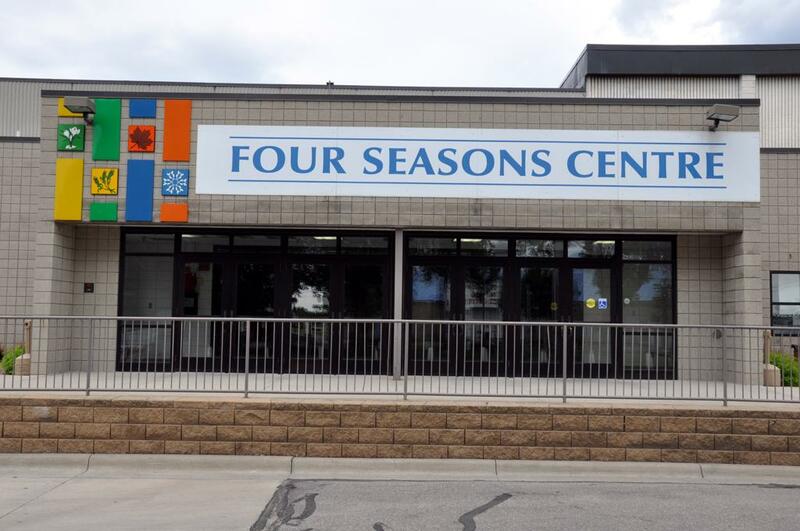 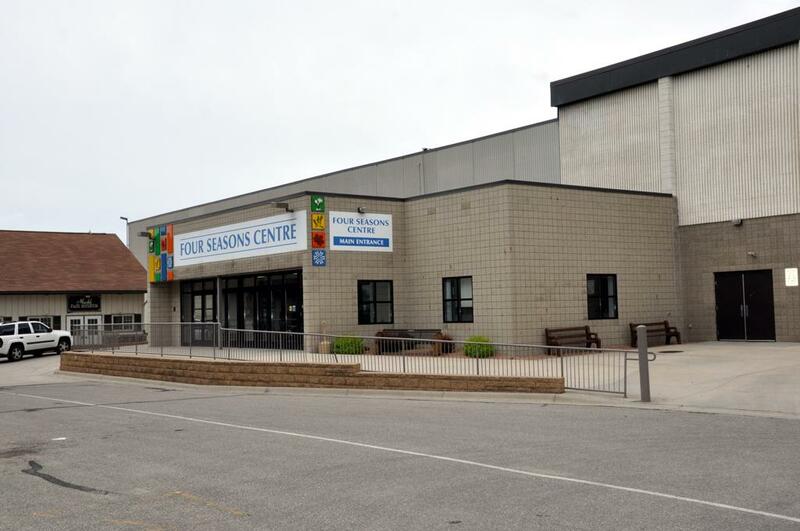 The Four Seasons Centre, operated by Steele County, is a multi-building complex featuring 50,000 square feet of floor space. 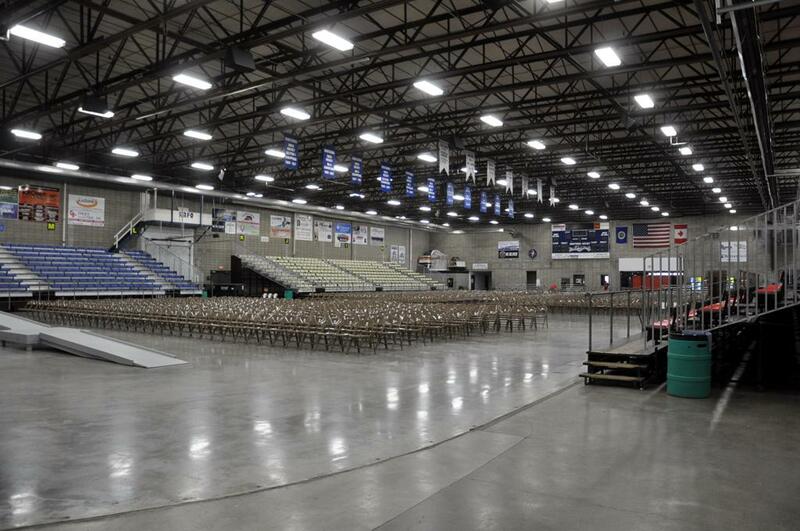 With hospitality and meeting space available, the Centre is the ideal place to hold your next trade show, convention, rally, or banquet. 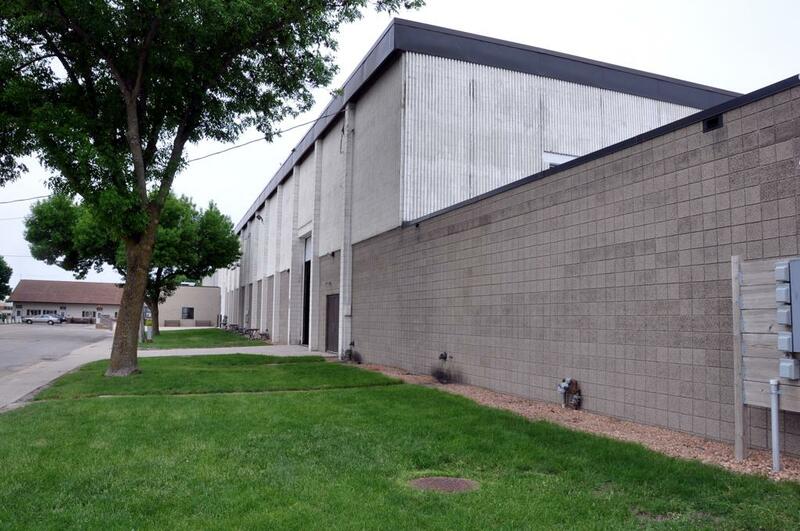 Located in friendly Owatonna in the heart of Southern Minnesota, just 60 minutes south of the Twin Cities metropolitan area, the Centre has everything you need for your next event.